Editor’s note: This is the second of a two-part series by contributor Samantha Samsonite chronicling her recent sojourn to Scandanavia with her husband, Sam. Part three will not run later. They say Sweden is the most populated country in Scandinavia. If the wind keeps up, however, that statistic won’t last long. People will be blown into Finland, which is in another country! We took a train into Malmö, which is straight across some water from Copenhagen, (The train first went through a tunnel then over a bridge. Amazing!) As soon as we emerged from the underground train station Sam’s toupee was blown into the street and was immediately picked up by what we later learned was a street beggar. Times are tough all over, aren’t they. Small children flew by as we forced our way into a McDonald’s near the train station. Even though the sun was shining the temperature was quite chilly for early July, which is summer in Sweden. Sam finished his Kaffee and just as our host arrived to take us to his home. Following a lovely dinner of potatoes and salmon, we went on a sight-seeing around Malmö. Our host drove us to the most interesting building we had ever seen. 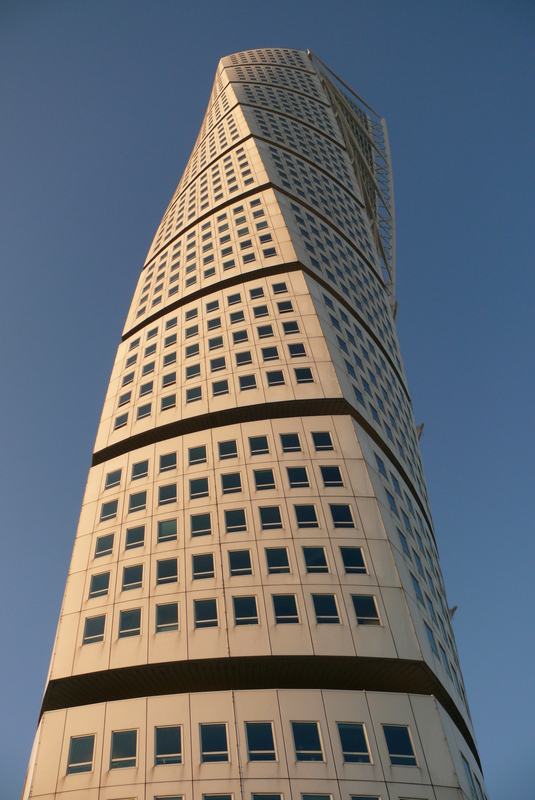 He called it the Turning Torso, we think. (His English was as bad as ours!) Sam decided that the building was constructed of some super-strong but flexible steel that allowed it to twist in Sweden’s unrelenting wind. It rained for the next three days so we stayed inside and lit a fire in the fireplace. 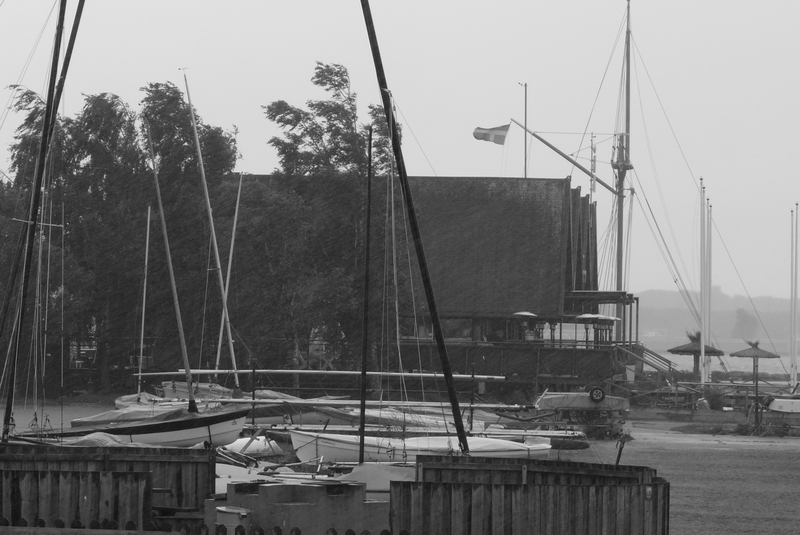 Sam ventured out one afternoon to take photos of a nearby marina. I don’t know why. Our last day in Malmö the sun greeted us early and we spent the day wandering around the city marveling at the number of people doing the same. We stopped for an öl (beer) at a pub (pub) and drank in the sights. Just as we were leaving Sam spotted the same beggar from earlier, and she was wearing his toupee! He traded his hat for it and there were smiles all around. What a fun international story! We’ll be back, Malmö!